From simple strawberry jam (always a favorite) to strawberry-rhubarb compote to freezing and dehydrating this wonderful fruit, there are many great traditional and creative methods for preserving strawberries. Whichever recipe you choose, keep in mind that the more flavorful and fresh the strawberries are, the more delicious your final product will be. For the most scrumptious results, use locally grown strawberries when they are in peak season in your area (that's spring into early summer in most places). Frozen strawberries also can be used to make many jams, compotes, or preserves. 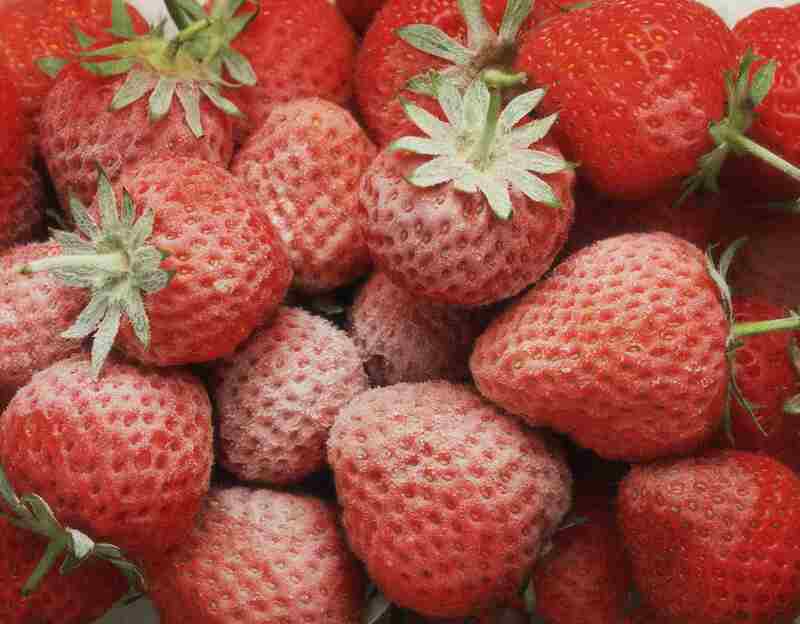 But here, too, you'll get the most flavorful results if you use in-season, local strawberries that you froze yourself. Next, to homemade strawberry jam, freezing strawberries is the best way to preserve their flavor and juiciness. You can use frozen strawberries to make any jam recipe that calls for the fresh fruit. Freezing the berries properly ensures that they don't clump together but remain loose so that you can easily take out just the amount you want. A good low-sugar recipe for strawberry jam can use less than half the sugar called for in traditional recipes. The result is a healthier treat that has the full natural flavor and color of the fruit. The secret is to use low-methoxyl pectin (made from citrus peels) and calcium powder, both of which are available from brands such as Pomona's Universal Pectin. The combination of low-methoxyl pectin and calcium makes it possible to get a good gel even when using little or no sugar. Using an overnight maceration (soaking time) and homemade pectin are two tricks to making strawberry jam that keeps the sugar amount moderate and the cooking time low. The result is a brightly colored and flavored jam that honors the fruit it is made with. Dried strawberries are fantastic on cereal, as a crisp snack, or as part of a trail mix blend of dried fruits and nuts. Strawberries keep their color when they are dehydrated without an acidic solution pre-treatment (unlike apples, pears, and many other fruits). Strawberries and rosy rhubarb are a classic pairing, partly because they are both in season at the same time, and also because their flavors complement each other perfectly. Rhubarb's tanginess brightens strawberry's sweetness, and both bring their delightful color to this preserve. Ruby red in color and both tart and sweet on the tongue, strawberry and red currant preserves is another example of a perfect pairing. Not only are both fruits in season at the same time, but the high natural pectin in currants compensates for the low pectin in strawberries. 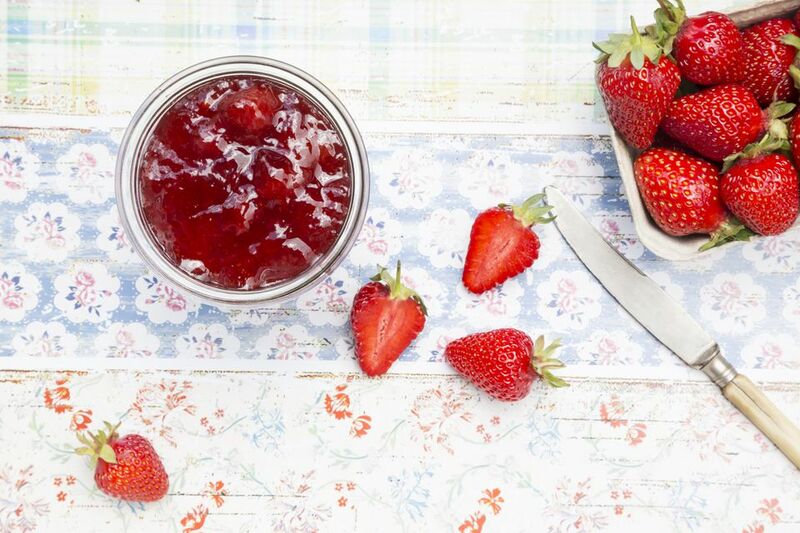 Making strawberry refrigerator jam is easy and requires no added pectin. It will keep for at least two weeks in the refrigerator, or you can freeze it or can it for longer storage. A lightly sweet homemade strawberry sauce makes a perfectly fruity alternative to syrup on pancakes. It also freezes well. Classic Southern style strawberry preserves can be made with just three ingredients: strawberries, lemon juice, and sugar. Homemade strawberry wine is a treat that most of your guests won't have sipped before. You'll have to wait a year for the wine to be ready to drink, but it's definitely worth the wait.